Johnny Murtagh’s Eddystone Rock is expected to run a big race on Saturday. Betfred Cambridgeshire Handicap 1m1f Newmarket Saturday – With four of the last ten renewals going to the classic generation, the top rated of this year’s 3yo entries, Tony Curtis is worth a second look. Richard Hannon’s Rock of Gibraltar colt won two of his four juvenile starts ( including at listed level) and made a satisfactory return to action when finishing fourth in a Group3 over the course in April. Taking a very strong hold he tried to make all, and not surprisingly was headed a furlong out, but kept on well to finish a respectable fourth. Not seen for another 15 weeks, he again ran well to finish 5th in a Goodwood Group3, and thirteen days later finished 4th, again at Group3 level, where he was less than 2L behind Saturday’s opponent, Master The World, who finished 2nd. Upped to 10f last time he didn’t stay but back to what looks his ideal distance he is worth considering off his mark of 105. Johnny Murtagh won this as a jockey on Educate (runs again on Saturday) three years ago, and must now fancy his chances of saddling the winner with his rapidly improving 4yo Eddystone Rock. Trained in France, with a conspicuous lack of success, for his first eleven races, he was sold for £28,350 at Tattersalls Autumn “horses in training” sales last year, and joined the Murtagh operation. He failed to win on his first three runs for the new connections, but the penny dropped on his fourth outing, a lowly Wexford maiden in May. (9 1/2f yielding). Since then progress has been relentless, with a facile victory in a Navan handicap off 80, and an even more impressive, close second next time, off a mark of 92, to an animal who next time out very nearly defied a 12lbs higher mark in a most competitive heat. Two months later, 30 days ago, he demonstrated in impressive fashion that progress had been maintained when winning a conditions race very easily from the 104 rated filly Laganore, giving her 9lbs. Laganore certainly upheld the form when going down by the minimum distance in a competitive Gowran Park Group3 next time out. Eddystone Rock looks well treated on a mark of 101 and combined with his proven ability to stay further is one for the short list. Read the Oddsguru’s 2015 Cambridgeshire Handicap Tips. It is 46 years since Prince de Galles won back to back Cambridgeshire’s, and Richard Fahey’s 4yo Third Time Lucky is the latest in a long line since, attempting this elusive double. It would not come as any great surprise if his shrewd trainer pulled it off, as he gets in on Saturday off a mark only 5 lbs higher than last year, thanks largely to having only contested three races since his dramatic Short head victory in last year’s renewal. Certainly his last run, 37 days ago, in a York handicap, where despite trouble in running he was beaten less than 2L off Saturday’s mark of 100 strongly suggests that he will be a danger to all. A nose in front of Third Time Lucky in that York handicap, was Brian Meehan’s 5yo son of Dylan Thomas, Spark Plug. He has failed to catch the judge’s eye since May 2015 but has put up some decent performances in defeat, not least when finishing a close second to the very useful Ayrad in a listed Sandown contest in July. Spark Plug seems to have regained his confidence since his traumatic fall in the 2015 Hunt Cup, and handles most ground, so with his very able trainer hitting some form is another worth considering. In his first race for 16 months. There seemed to have been a bit of over reaction on the part of the bookmaking fraternity who immediately installed him as favourite for this, but it is worth remembering, that the Sandown victory guaranteed the lowly weighted Gosden runner a place in the line up, and looks to me like a very shrewd piece of forward planning. Come Saturday evening Sacred Act may have looked a very well handicapped horse. 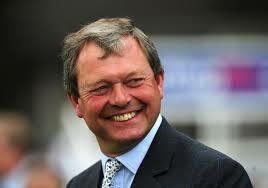 Sir Mark Prescott won the Cambridgeshire three times between 1988 and 2003 but has drawn a blank since. However his 4yo colt Celestial Path, 5th in last years 2000gns would have a serious shout at improving the Prescott c.v. If only slightly improving on his good run in a York handicap in July. Badly drawn and attempting to give the winner 15lbs he could be considered an unlucky loser in that strongly run heat, and is only 2lbs higher at the weekend. As excuses can be made for his two subsequent lapses he is definitely one to consider. The James Fanshawe trained 6yo Knight Owl, running off Saturday’s mark of 92 ran a great race at Ripon last time. He was having his first run for over two months but was only beaten a Shd by course specialist Treasury Notes. This tough and rugged competitor, who is a course and distance winner wouldn’t need to improve much to be competitive and is considered. Deauville, a good looking bay colt, he is by Galileo out of a Danehill mare, Walklikeanegyptian, is our selection. Originally called The Timeform Gold Cup, it was first run in 1961 under the sponsorship of the Halifax tipping service. It was given Group1 status when the current race grading system was introduced in 1971 and assumed it’s present title when first sponsored by the Racing Post organisation in 1989. It is the last Group1 of the British flat racing season and having five of the last eighteen Derby winners on it’s roll of honour can certainly be considered a good guide to a horses Epsom prospects. So is there a putative Epsom hero lurking in Saturday’s field? Well if so the likelihood is that it will be trained by A.P.O’Brien, who has been responsible for seven winners of The Racing Post Trophy since 1997, two of whom (High Chaparall, and Camelot) have gone on to Epsom glory. At the time of writing he is responsible for half the ten runner field and if the market is to be believed, Deauville represents his best chance. A good looking bay colt, he is by Galileo out of a Danehill mare, Walklikeanegyptian, and unusually for a Ballydoyle potential high flyer, made his racecourse debut in a Listowel maiden over 7f on heavy ground at the end of May where he duly obliged. He next appeared eight weeks later in a Leopardstown Group3, again over 7f where starting at 9/2 he beat the long odds on favourite (and subsequent Dewhurst third) Sanus Par Aquam by 1/2L in a workman like fashion. His jockey, Joseph O’Brien was pushing along from halfway but stayed on stoutly at the finish, strongly suggesting that a step up to a mile was required. He duly reappeared two months later in the Group1 Royal Lodge Stakes over a mile at headquarters and was beaten 3/4L by Saturday’s opponent, Foundation. On the face of it the Gosden horse should confirm the form, but I wonder if the Newmarket race played to Foundation’s strengths. The way the race was run, at a very steady pace and in a slow time, where Deauville, for whatever reason, lost a couple of lengths mid race, but then ran on stoutly, you would have to say undoubtedly favoured the speedier Gosden runner. Saturday’s race is invariably won by a staying type and there would have to be some doubt if Foundation’s pedigree, (by a miler, out of a miler) fits that particular bill. Deauville on the contrary is more stoutly bred and with a strong pace almost guaranteed at the weekend their second meeting could be very interesting. Foundation didn’t see a racecourse until the beginning of August when taking a lowly Cl5 maiden at Haydock Park. Great strides forward have been taken since, winning a listed race, again at the Lancashire venue, and culminating in that impressive win in the Royal Lodge. Obviously out of the top drawer, he looks the one to beat. The all conquering Hugo Palmer yard has a very interesting runner in Menghil Khan. He made a promising debut only four weeks ago where despite running green he finished third in a Newmarket maiden, and showed the benefit, when trotting up at Nottingham on soft ground over 1m 1/2f a fortnight later. He is very well bred, being by the first season sire, Lope De Vega ( winner of the French 2000gns and Derby) and out of a Danehill mare who is a half sister to two Group1 winners. He did seem to relish the soft ground at Nottingham so if a similar surface prevails at the weekend this 150,000gns yearling might just cap a ‘superb season for his highly talented trainer. The penny seemed to drop late on in the group1 Prix Jean-Luc Lagardere on “Arc” day for another O’Brien blue blood, Shogun. Having been pushed along in midfield for most of the race he seemed to get the message late on and finished with a flourish, and despite coming sixth, was only 1 1/2L behind the winner. By the Australian stallion Fastnet Rock, who is doing so well with his European runners, and out of a Galileo mare who was second in the Group2 1m6 1/2f Parkhill stakes he is another who could be well suited by Saturday’s contest and is one to keep on the right side of. Peter Chappell-Hyam’s 5yo Buckstay has been campaigned at 7f and further but it certainly wouldn’t be unprecedented for an animal with such credentials to win. It was most disappointing that last week’s selection in the St Leger, Order Of St George, was re routed to the Irish equivalent because of concerns with the going at Doncaster. It seems to this observer that good ground was highly likely at the Yorkshire track, and indeed the Doncaster race was run on ground very similar to the one that prevailed at the Curragh where the O’Brien horse won in a hack canter. There can be little doubt that he would have won at Doncaster and yet again, scant consideration was afforded to ante post punters. However our next best, Bondi Beach,(after a prolonged inquiry) did collect, so upwards and onwards. 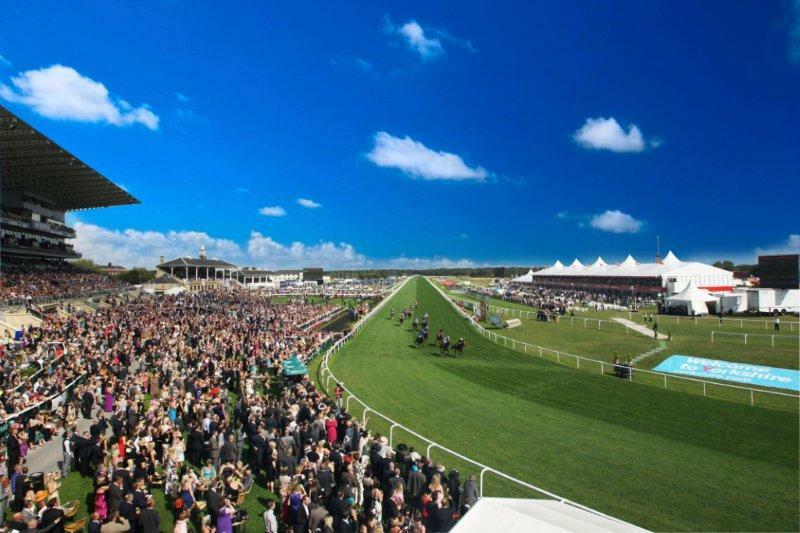 Saturday’s Ayr Gold Cup, with twenty five runners theoretically handicapped to cross the finishing line together, looks a much trickier puzzle to solve. Happily there are a few strong trends which may help in finding a solution. All of the last ten winners were rated at least 97, and with only two exceptions, carried at least 9st. Only two managed a burden of more than 9st4lbs. Another very relevant stat is the fact that only two of the last ten winners had managed to cross the line in front in more than one race that season, probably highlighting connections desire to minimise the amount of weight carried. It is one of the toughest sprint handicaps of the year, run over a demanding course, with the weather often playing a hand, so stamina is most important. A proven ability over the trip is essential, and the stamina to stay further is a definite asset. Having won all of his four starts, the Richard Fahey trained 3yo Dutch Art gelding, and current favourite, Don’t Touch is on a real roll. Tackling a Class2 handicap for the first time, he showed maturity beyond his years, when taking the Great St Wilfred at Ripon last time out. Backed in to 4/1 favourite in an admittedly depleted thirteen runner field, he ran on strongly when the penny dropped inside the final furlong, to win by a head off a mark of 96. He is sure to have learnt a lot at Ripon, and although 3yo’s have a poor recent record (thirteen years since one won) he looks well treated off a mark of 101 giving him a nice racing weight of 9st1lb and is shortlisted. Kevin Ryan, who has won the race three times, (twice in the last four years) has an interesting contender with his 4yo gelding, Lexington Abbey. He went down by a short head at Nottingham eight weeks ago off a mark of 95 and was put up 2lbs, almost guaranteeing him a place in Saturday’s field. Given ground no worse than good-soft, he is worth a second look at a big price particularly as Irish ace Pat Smullen has been booked. The Andrew Balding trained 7yo Highland Colori won this two years ago off a mark of 104 and gets into this years renewal off a mark 1lb lower. Having raced prominently he faded to finish eighth last time, in his first run for twelve weeks, but previously had shown the engine was still there when beaten less than a length in a Class2 7f Newmarket handicap. He seems to be suited by plenty of give these days, and there is little doubt that his shrewd trainer will have him primed for a repeat of his 2013 performance. David O’Meara’s 4yo Highland Acclaim got going too late in last weeks 5 1/2f Portland handicap at Doncaster, but came home in grand style finishing 5th off a mark of 98. Bound to be well suited by the extra 1/2f at the weekend, and again racing off 98 O’Meara must have strong prospects of repeating last years success with Louis The Pious. Marco Botti’s 4yo Golden Steps showed that he was on an upward curve when taking a Class2 handicap at Goodwood last time off a mark of 96. Dettori, who has ridden the winner twice in the past six years has been booked, so although up 7lbs since Goodwood must be considered. Peter Chappell-Hyam’s 5yo Buckstay has been campaigned at 7f and further but it certainly wouldn’t be unprecedented for an animal with such credentials to win. Indeed three of the last ten winners had won over further than six furlongs and the above mentioned Highland Colori boasted success over a mile. Buckstay won his last race, a 7f Class2 handicap at headquarters off a mark of 97 and races at the weekend off a 4lb higher mark. He probably handles most conditions, so it’s unlikely his uber shrewd trainer is travelling north without serious ambition. 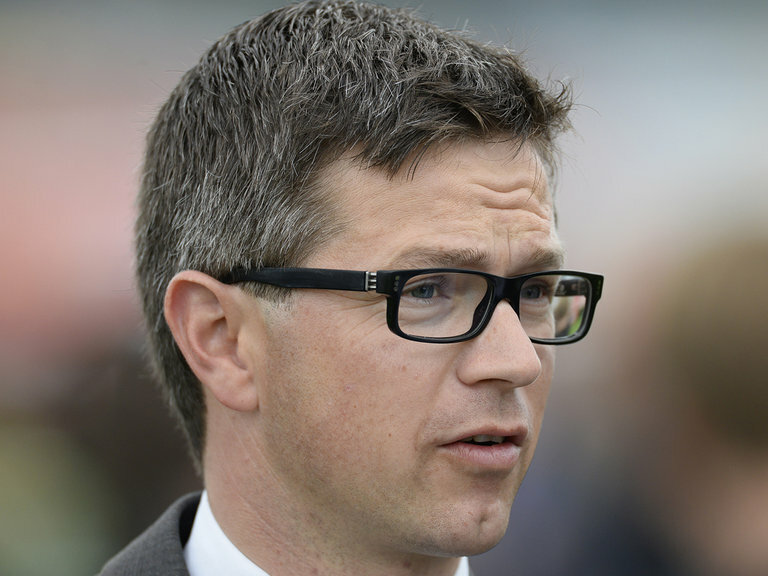 Roger Varian’s progressive looking Dynaformer colt Intilaaq could well Saturday’s big race at Haydock. I hope you were on last week’s selection, Magical Memory, the very tidy winner of The Stewards Cup. Returned at 6/1, he was available at the time of writing at a very tasty 14/1, so let’s hope we can keep the ball rolling this week in Saturday’s Rose of Lancaster Stakes. Three year olds have won fifteen of the twenty eight renewals of this 1m 2 1/2 f contest since its inception in 1986, and Roger Varian’s progressive looking Dynaformer colt Intilaaq could well improve on their record. Having won his maiden at Newbury in April, he disappointed in the 2000gns, finishing fifteenth behind Gleneagles, but came good last time on his first attempt at the distance when winning a listed race at Newbury in very taking fashion. Now stepped up to pattern company for the first time this very well bred colt, (his dam won the French 1000gns) is of definite interest at the weekend. The only caveat would be the weather as his trainer feels that he would be unsuited by anything worse than good, so a waiting brief is advised. The John Gosden trained Mahsoob is in the same ownership as Intilaaq, and based on his win in the 1m2f Wolferton Handicap at Royal Ascot off a mark of 106 is of interest. 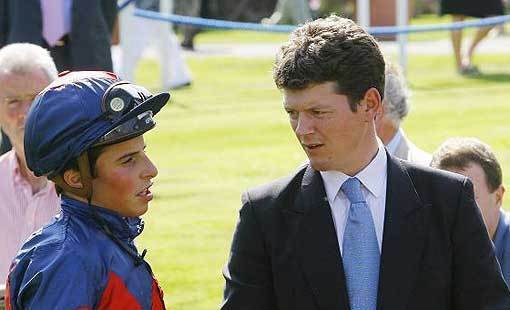 He disappointed last time in the 1m4f Gp2 Prince of Wales stakes at Newmarket when sent off favourite. He clearly didn’t get the trip and finished 6th, 6L behind the subsequent Goodwood Cup winner Big Orange. Returned to his optimum trip, (has won three times over 1m2f) at the weekend he is well worth considering. Mostly campaigned at shorter, the Rod Millman trained 4yo Master Craftsman, conclusively proved his stamina credentials, when winning the hugely valuable, and highly competitive, John Smith handicap at York. Run over 1m 2 1/2 f he held on bravely to win by a neck, off a mark of 104. The ground at York was good, but he does like to get his toe in, (he won a Gp3 on gd/sft at Chantilly last year) so may well have his ideal conditions on Saturday. Having had a nice break since his York win, he does seem to have a lot in his favour at the weekend and is shortlisted. In typical Mark Johnston fashion, the tough Fire Fighting’s nose has been kept close to the grindstone for the last two months, but he showed no signs of staleness when running another fine race at Goodwood last week. He was beaten less than 1 1/2L when running on resolutely behind the talented Mount Logan, to whom he was conceding 8lbs (1m2f gd/sft), and although seemingly held on some collateral lines of form, it would be no surprise to see him involved at the business end on Saturday. Saeed Bin Suroor’s 6yo Clon Brulee ran well in a group3 over an inadequate 1m1f on soft ground at Newmarket last October, where he finished a running on 4th of 13 beaten 3L. He does like an easy surface, and back over a more suitable trip he could get involved. Sir Michael Stoute, who has won the race three times, is represented by the relatively lightly raced 4yo Munaaser. He had been mostly campaigned at around a mile, but in his last race at Goodwood, one week ago, he looked as if he would be well suited by further. Held up towards the rear in a Cl2 handicap over a mile, he ran on strongly to get within 4 1/2 L of the winner. By the Derby winner New Approach, out of a mare who stayed a mile there is plenty of encouragement in his pedigree to suggest that Saturday’s trip should suit, so coming from this stable is worth keeping an eye on. Andrew Balding’s Shirocco gelding Storm Force Ten, rated 83 on the flat, looks well treated off a mark of 123. After the frenetic pace of last weeks Cheltenham Festival, (hope you got on our selection, Moon Racer, in the Wetherby’s Champion Bumper) racing this week is of a more pedestrian nature. Newbury stages some competitive looking racing, not least the Doombar Novices Hurdle at 3.45, while North of the border, at Kelso the Brewers John Smith sponsor a valuable and intriguing novices handicap chase at 3.25. 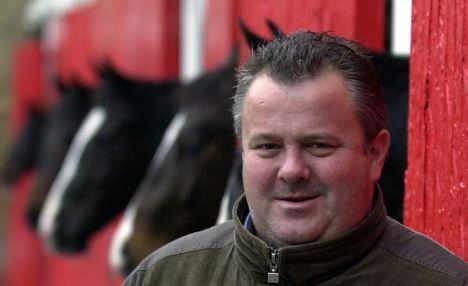 Paul Nicholls is the only trainer represented on Saturday to have won the Newbury contest over the past decade, although both Alan King, and Venetia Williams have had runners placed. The Nicholl’s contender this year, Celestino, has been generally dissappointing and as he is 5lbs out of the handicap at the time of writing is passed over. The Alan King trained Gimme Five is of considerable interest. Rated 67 on the flat, he has won two of his five starts over hurdles, both times on good ground. Last time out ( Huntingdon 2m1/2f gd Oct 5 ) he made most of the running and had to be kept up to his work to win by 3/4L. In his previous race ( Fontwell 2m21/2f ) he may have been a tad unlucky as he lost a shoe, when going down by 3/4L to the useful Vosne Romanee. Both the Fontwell race and his ability to stay 2miles on the flat ( 2nd btn 3/4L Lingfield 2m Feb 2. ) would suggest that he will be well suited by Saturday’s step up in trip. 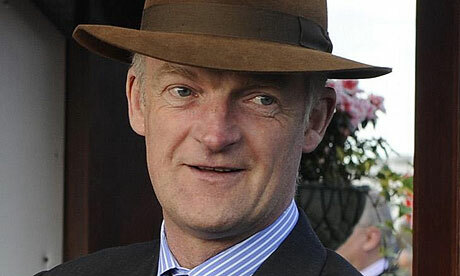 With the benefit of the Lingfield pipe opener in Febuary, he is Definitley one for the shortlist. Andrew Balding’s Shirocco gelding Storm Force Ten, rated 83 on the flat, looks well treated off a mark of 123. Last time out ( Cheltenham 2m1f soft 24 Jan ) he finished a running on 4th behind Peace and Co, Karezak, and Zarib. Although 12 1/2L behind the winner, the very useful Zarib, was only 1/2 in advance at the line. As Peace and Co went on to victory in the Triumph, and Zarib won his next race the form looks rock solid. On a point of handicapping Zarib finished a good 6th in the Fred Winter at the Festival of a mark of 133, suggesting that the Balding horse is well in here off 123. Philip Hobbs’s Golden Doyen, was going well behind the leaders, when coming down in the Fred Winter, eight days ago. He races off the same mark,141, on Saturday and so, on the form of his penultimate race ( 17Jan Ascot 2m soft ) where he was a staying on 2nd to the Triumph runner up, Top Notch, combined with the strong likelihood of being suited by the extra distance at the weekend he is another to consider. Seamus Mullins runs his 72 flat rated Ultimate off a mark of 123 and promises to be a decent recruit to jumping. A winner of two of his three starts over hurdles he put up a fine performance last time out. ( Sandown 2m1/2f gd/sft 7th Mar.) where staying on strongly up the Sandown hill he beat Libeccio 4L with the well backed favourite Princess Ombu (rec15lbs) a further 2 3/4L back in third. He races on Saturday off a mark only 5lbs higher than Sandown giving him a nice racing weight of 10st 8lbs. Another to consider!